For more than a decade, criminal defense attorney, Jason Kalafat, has been committed to providing superior legal services to clients facing misdemeanor and felony criminal charges in Washington DC. Assault, federal crimes, and DUI are just a sample of practice areas that Mr. Kalafat is passionate about providing aggressive defense for. Mr. Kalafat’s extensive legal experience has earned him the highest possible rating on the AVVO website. 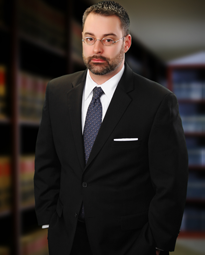 He was rated one of the top 10 DUI attorneys in the Northeast on AVVO’s 2010 Top 50 Northeast Lawyers list. If you are facing DUI,assault, drug, or any other type of criminal charge, contact experienced Washington D.C. Criminal defense attorney Jason Kalafat today.